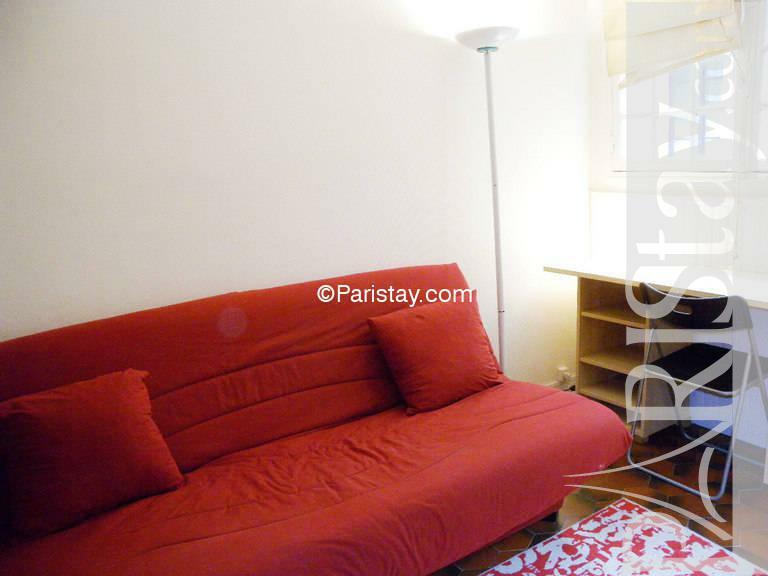 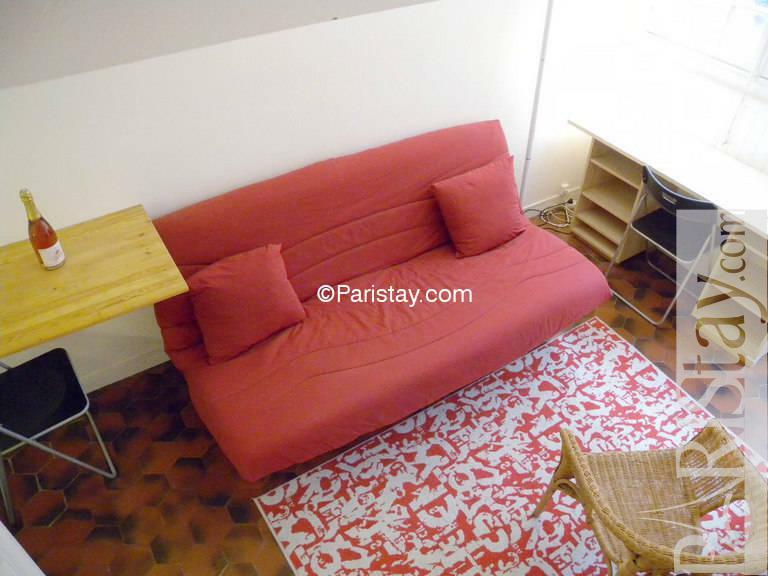 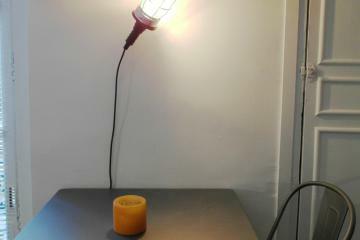 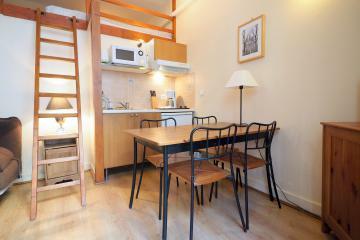 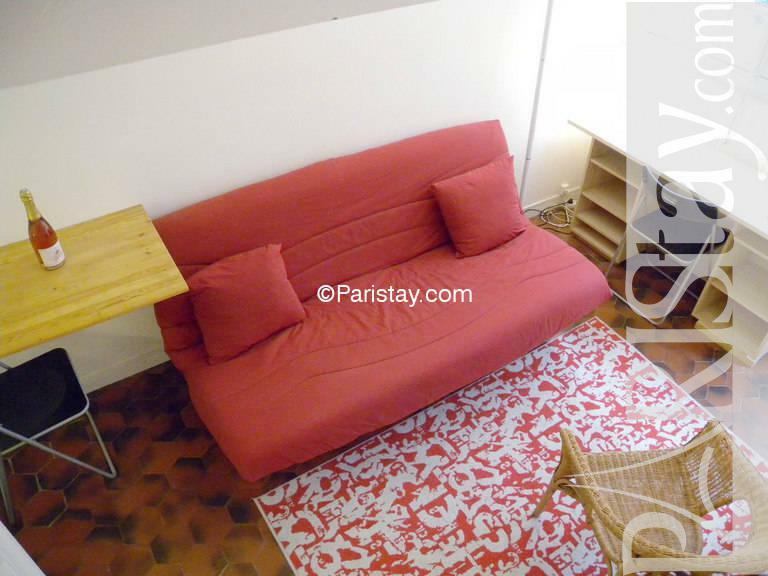 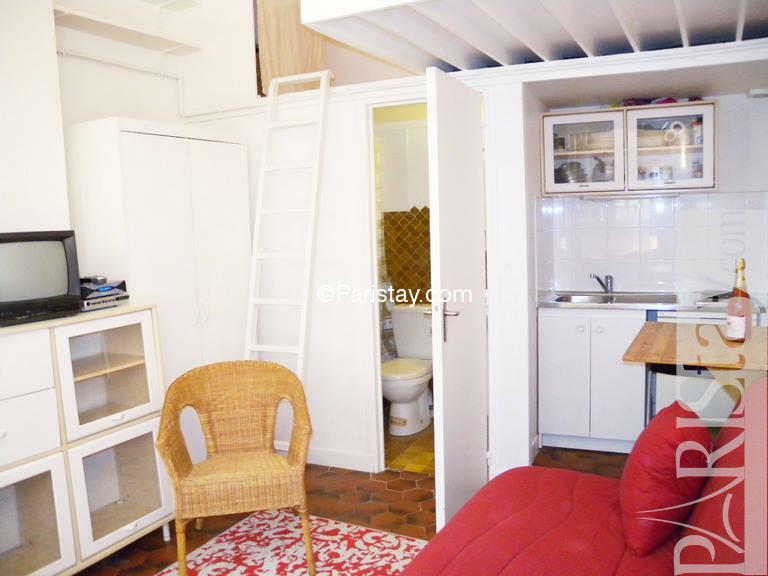 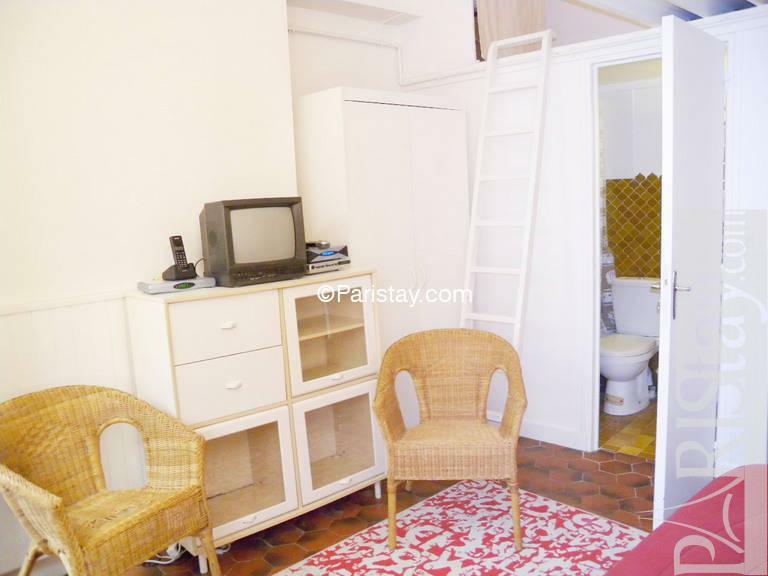 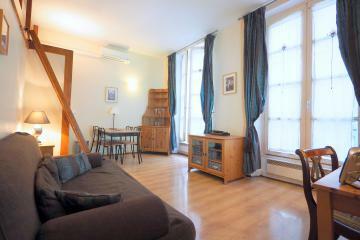 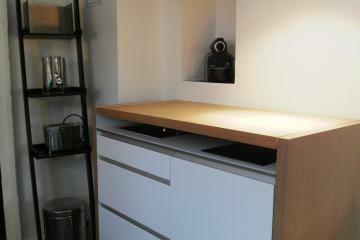 Charming 16m² furnished studio apartment in Paris located in the 5th arrondissement in the Latin quarter. 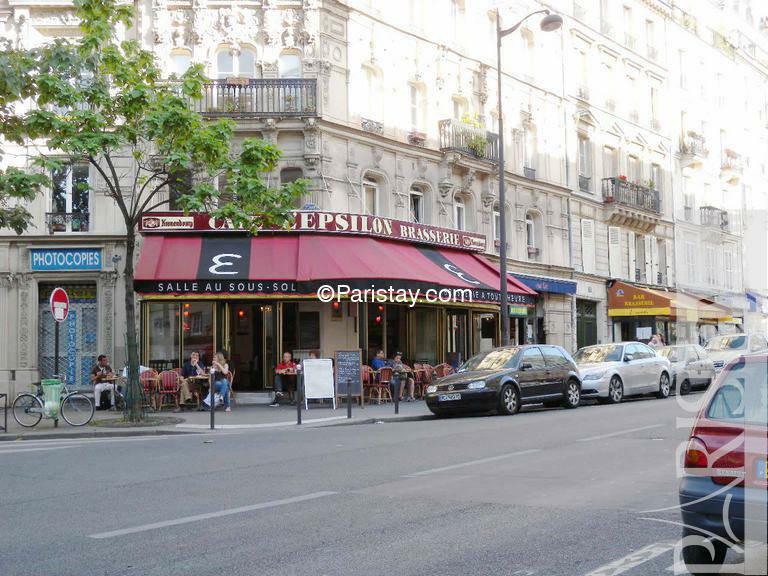 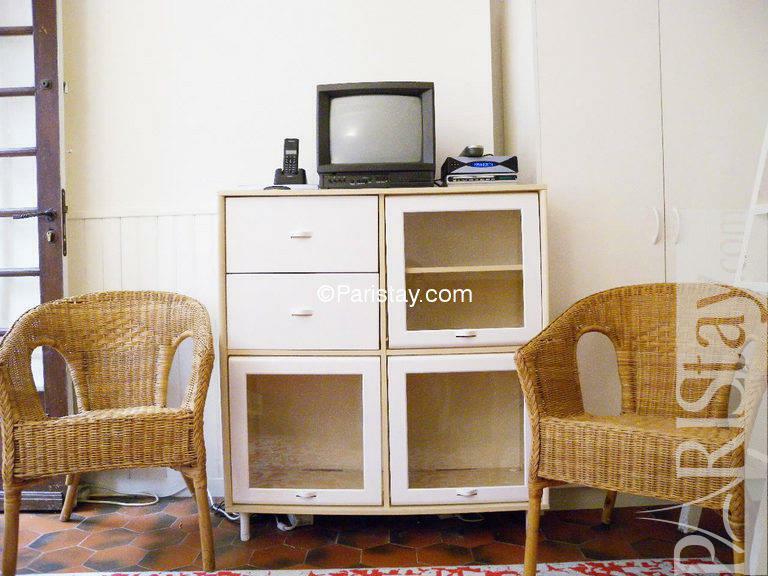 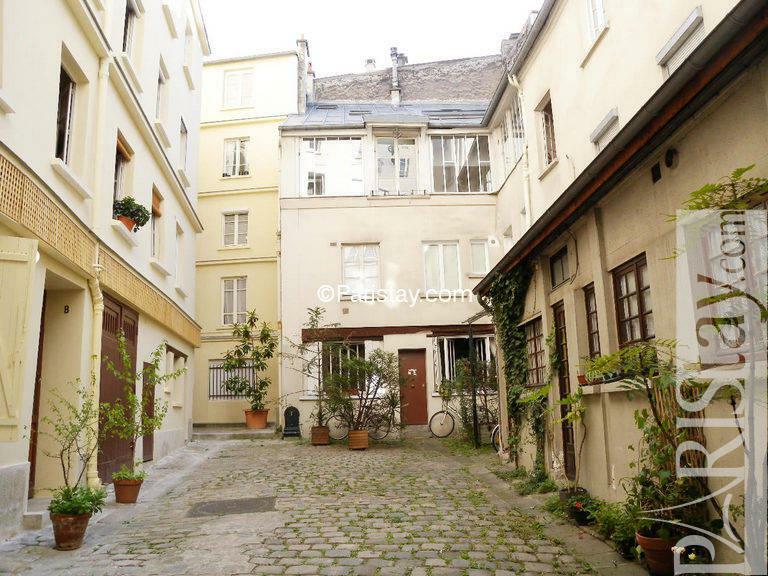 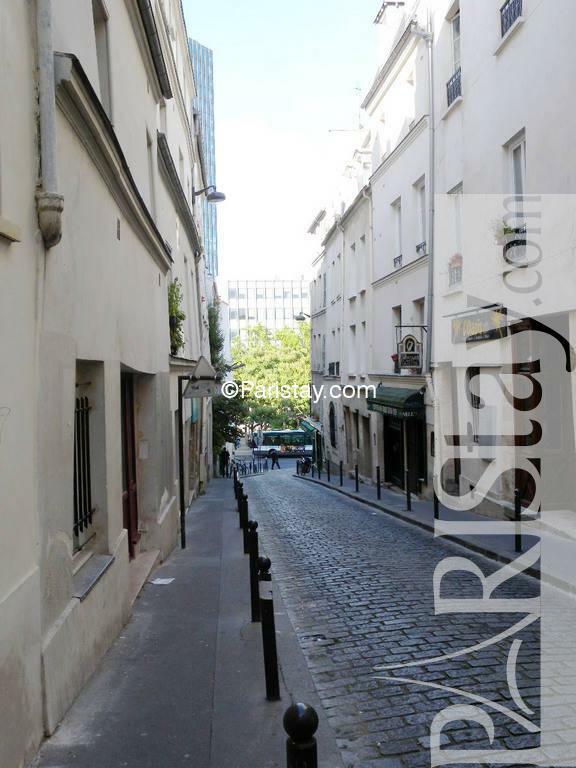 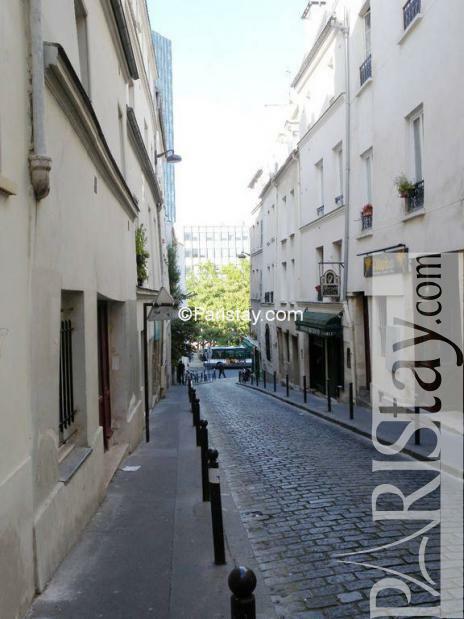 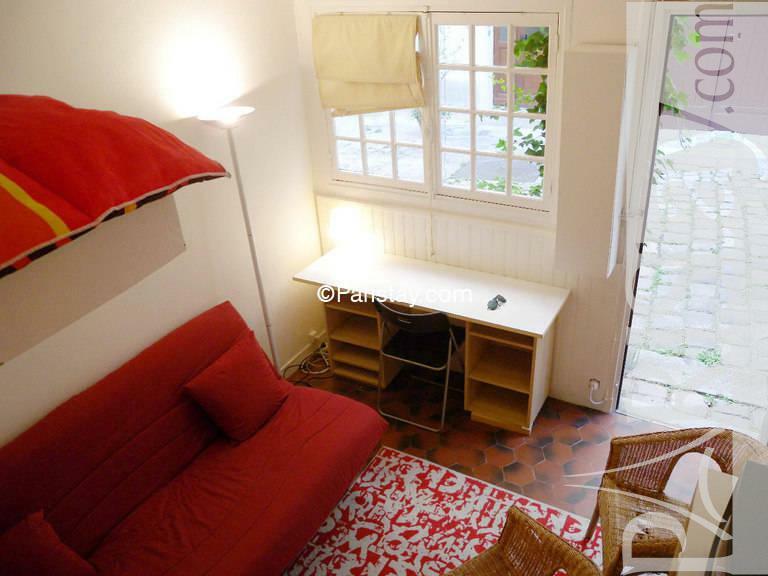 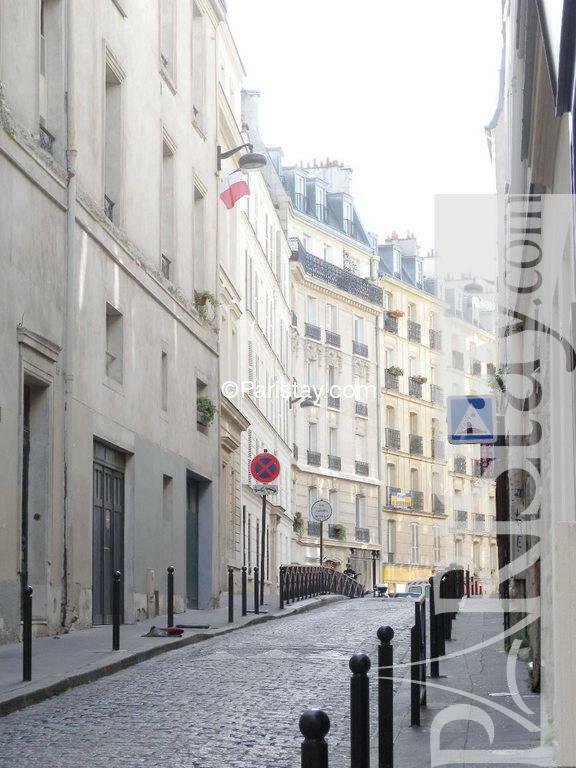 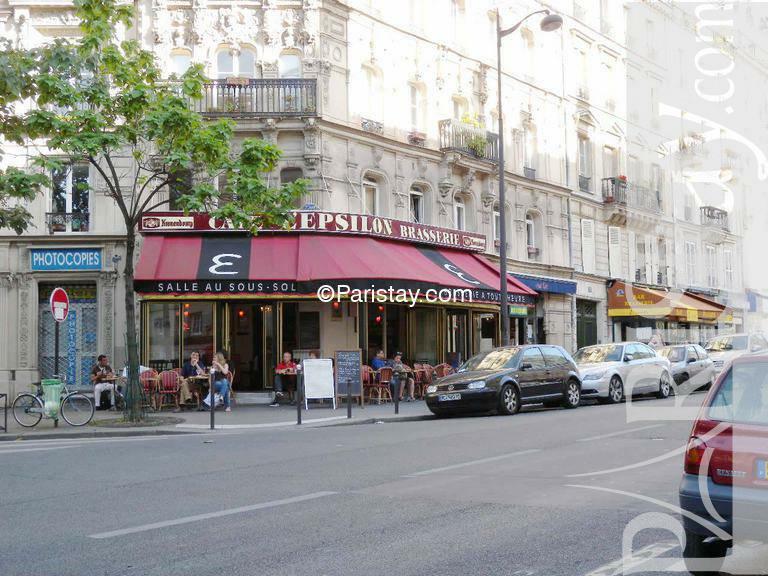 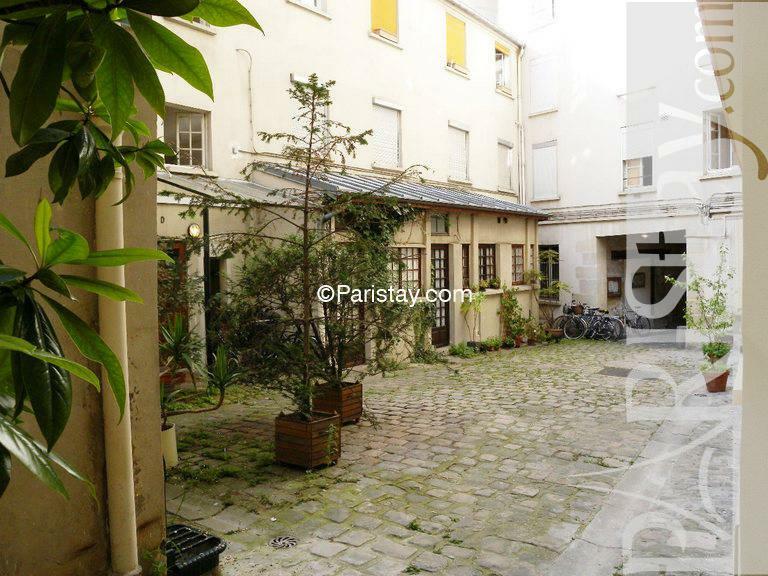 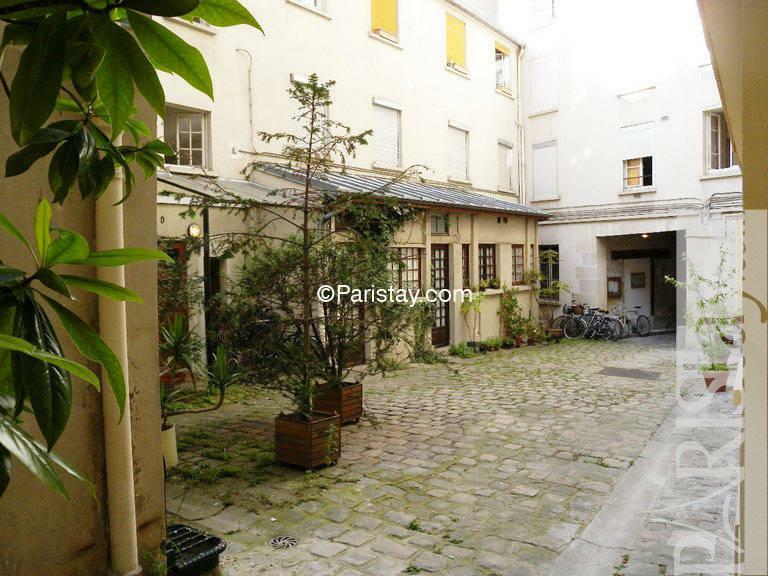 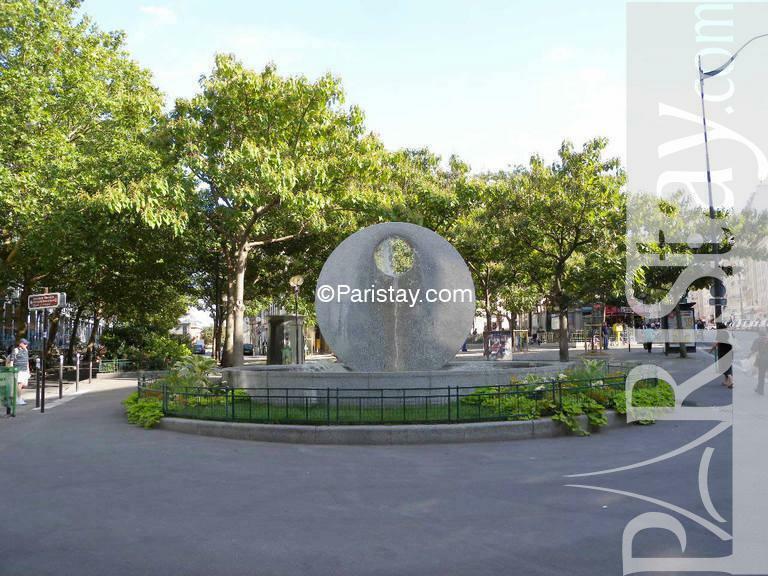 Facing Jussieu University, minutes walk from St Michel, le Pantheon, Notre-Dame de Paris and the Seine river, in a old and lovely secluded courtyard this quiet and sunny apartment is exeptionnally well located. Fully furnished with a queen size bed in mezzanine, a convertible sofa bed, TV and internet access, kitchen area and a separated bathroom. 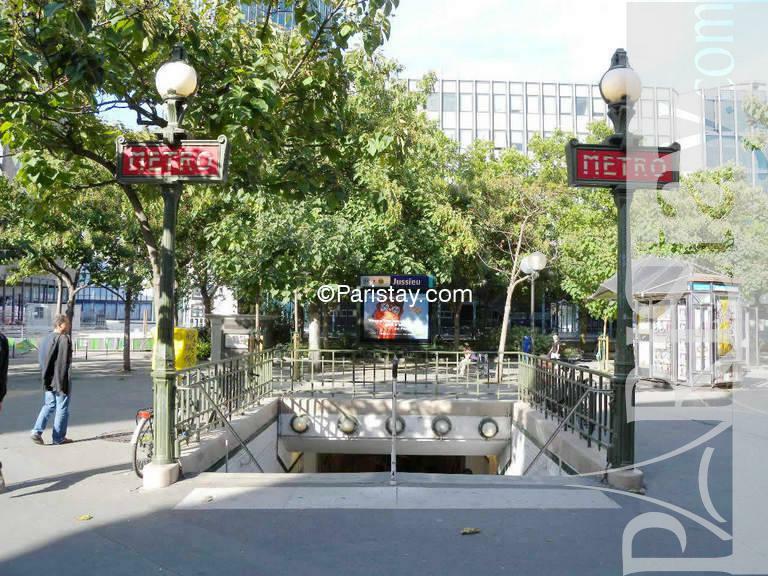 Numerous shops, restaurants, subway station are next door. 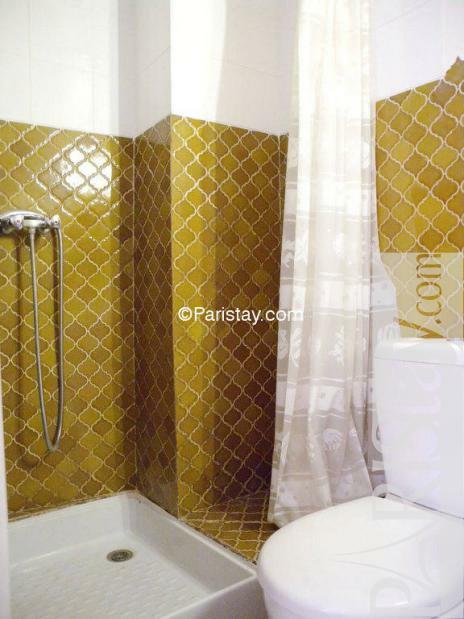 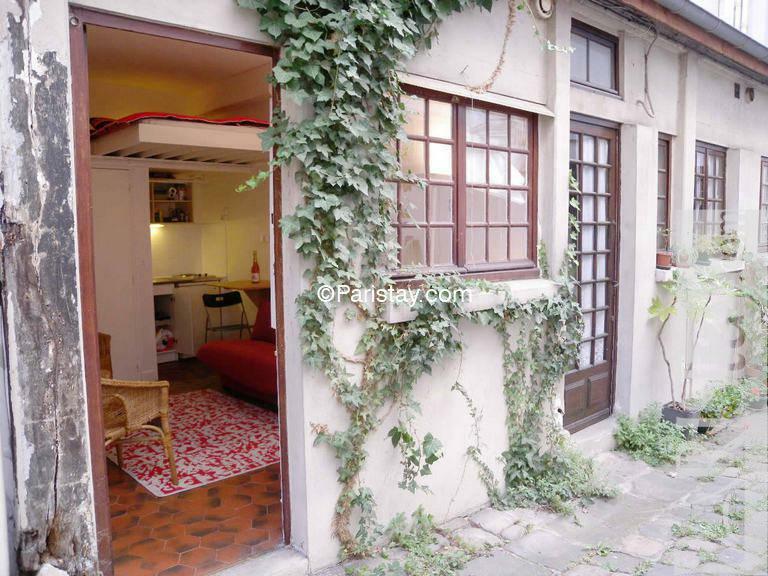 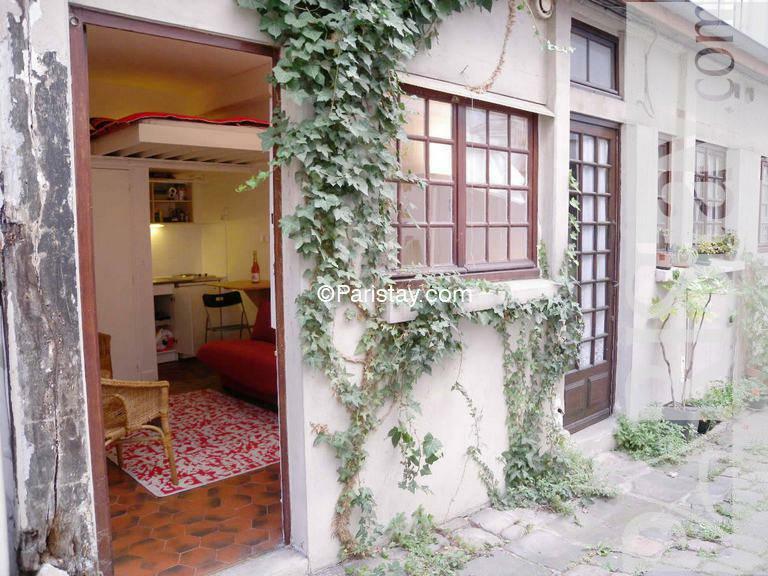 This is the perfect place to stay for a long term rental in Paris. 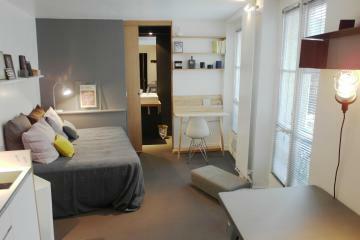 Ideal for a student. 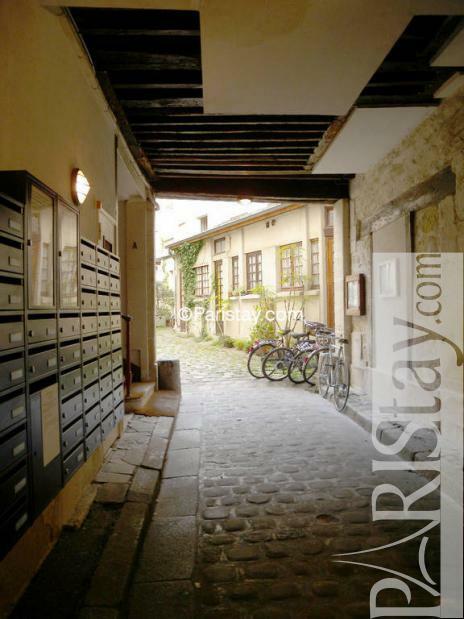 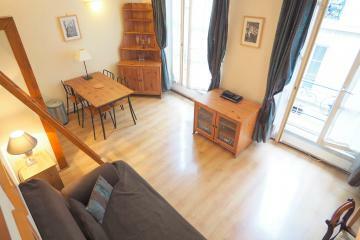 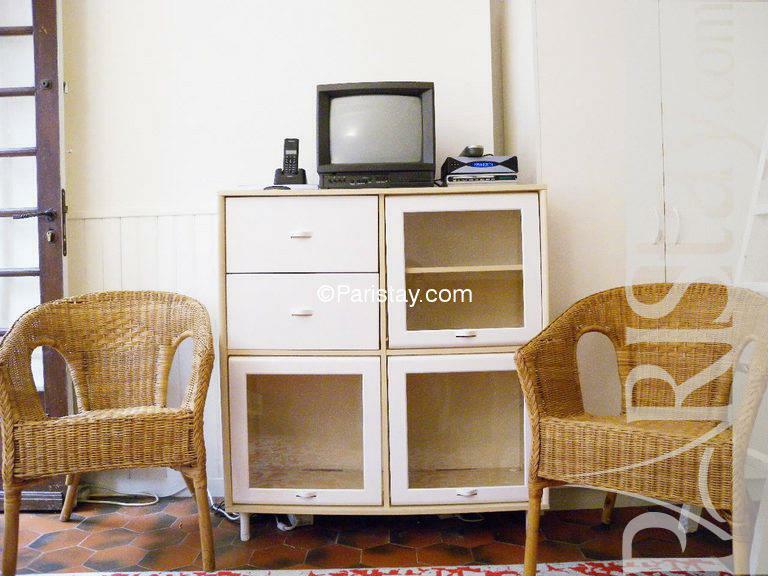 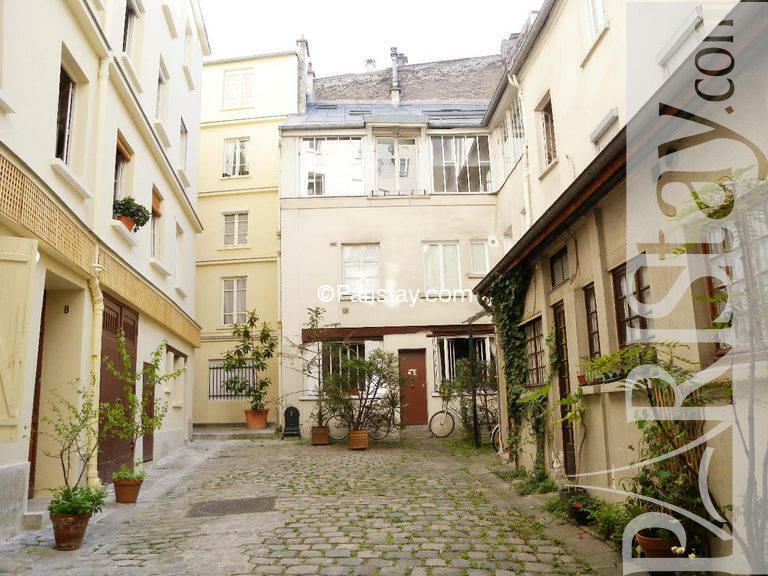 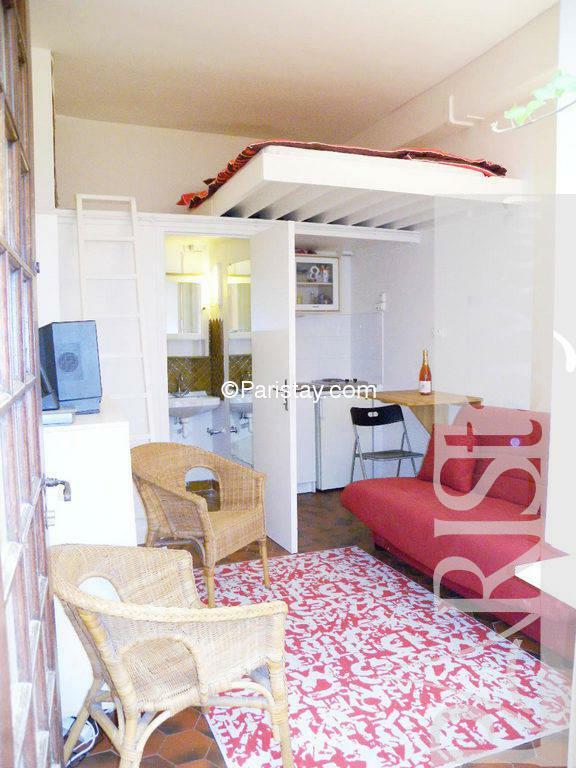 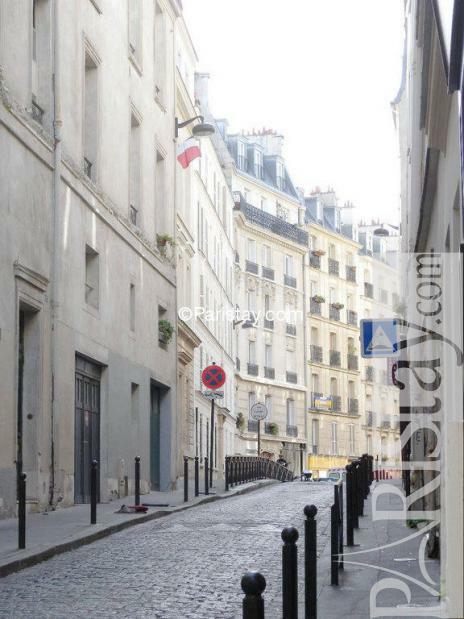 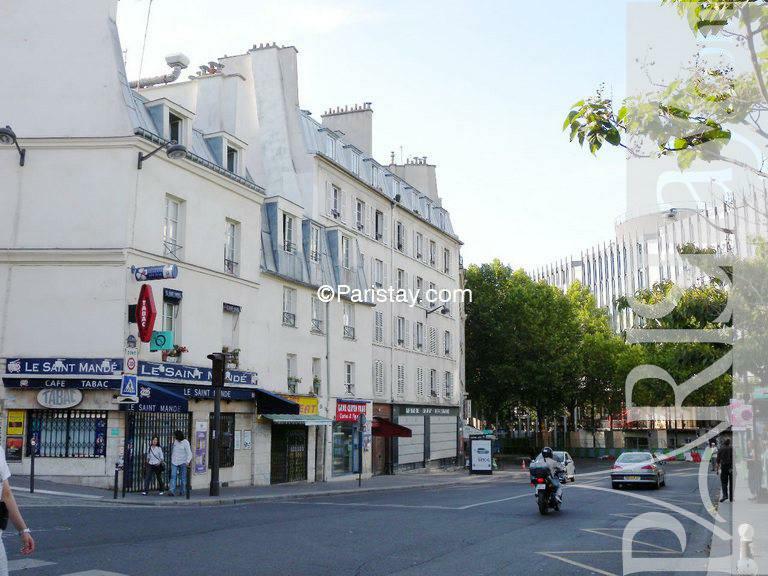 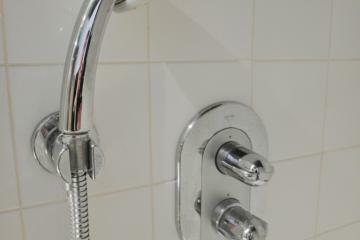 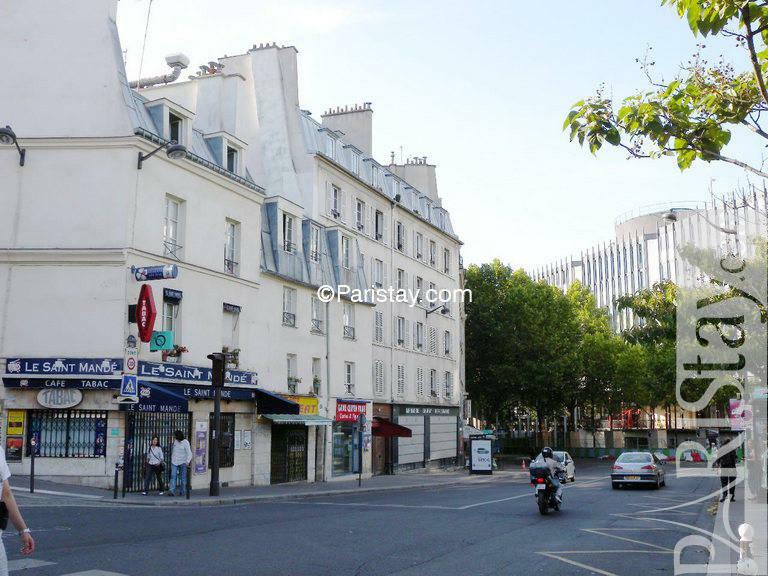 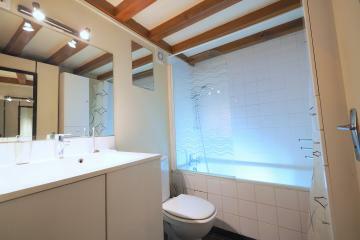 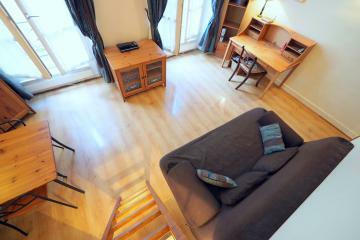 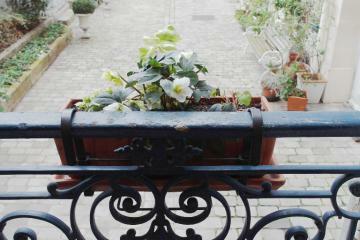 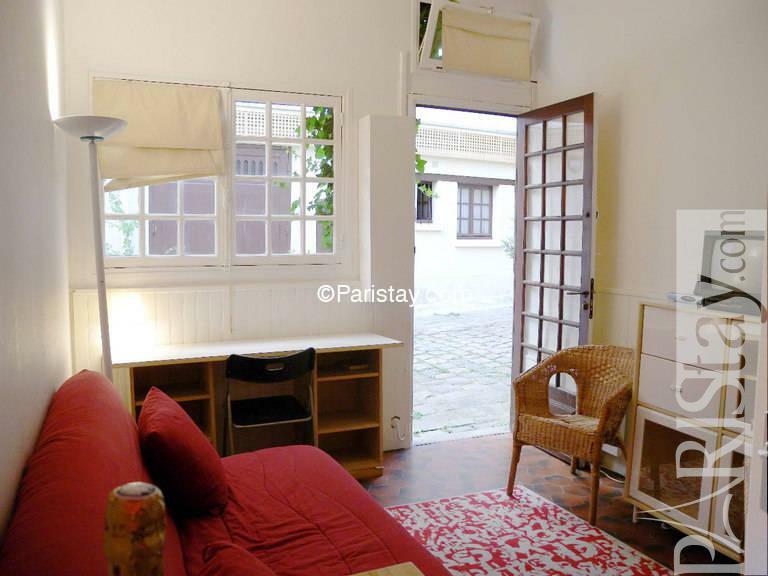 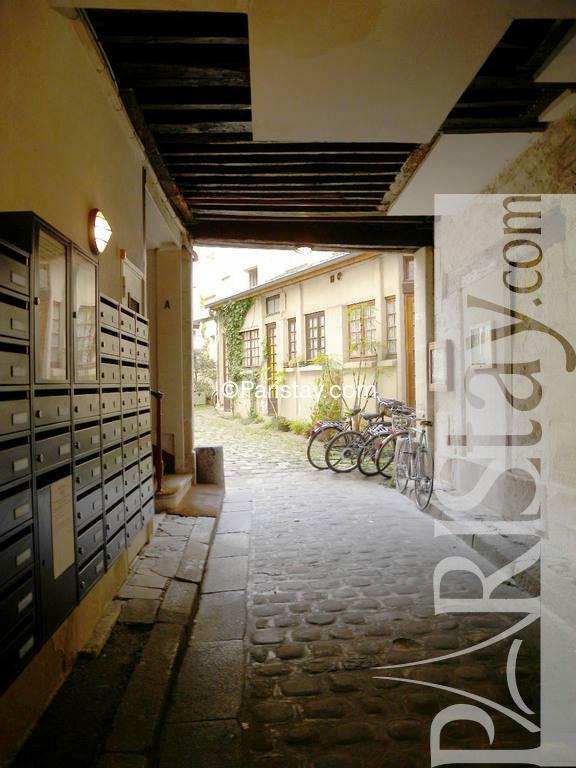 1780's Building, ground floor, without Lift, entry code security system, Studio Appartement, furnished, Approx: 16m² / 172 Sq.Ft.